Built in 1879, the Lone Star School building is located on a one-acre plot west of Bison in rural Rush County. With help from the community, contractor Henry Mertz and carpenter Henry Rogers built the dual-purpose building for school activities during the week and church services on Sundays. 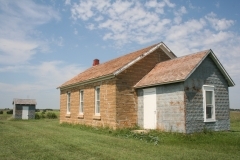 Typical of early one-room schoolhouses, this limestone building features a simple rectangular form with a gable roof with little architectural ornamentation. A wood-frame vestibule was added to the front of the building in the early 20th century. Early schoolhouses like this are often classified as vernacular in style. Grades one through eight attended school here until 1947 when area school districts consolidated. 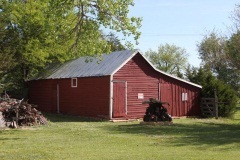 The property, which includes a coal shed and outhouse, is nominated for its associations with early public education in Kansas and for its architectural significance as a good example of an early vernacular one-room schoolhouse. 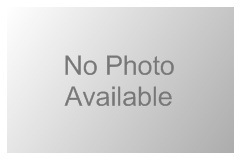 It is nominated as part of the "Historic Public Schools of Kansas" Multiple Property Submission. Frank and Emma Seuser Miller established this farmstead east of La Crosse in 1881. Frank was an early settler in the area, arriving from Austria by way of New York, Wisconsin, and Missouri in 1876, just two years after Rush County had been organized. Emma's family arrived in 1877 from Wisconsin. Frank first lived on another homestead in Rush County and later claimed this land as a Timber Claim, and it was on the claim that they built their permanent house and farmstead. It developed into a subsistence farm with livestock and grain being produced. One of the more unique aspects of the Miller Farmstead is the number of buildings and structures that remain - 19 in all. With the exception of a windmill, nothing has been torn down or removed in the property's history. The farmstead has remained in the Miller family and is now owned by Frank and Emma's grandson Virgel Miller and his wife Kathryn. It was nominated as part of the "Historic Agriculture-Related Resources of Kansas" multiple property nomination. 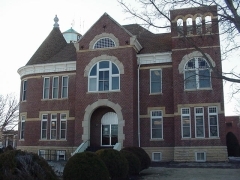 Constructed in 1888-1889, the Rush County Courthouse is a two-story, red brick building with a limestone foundation. Designed by L.L. Levering and constructed by William R. Heaps, it is an example of Richardsonian Romanesque-style architecture. The main entrance is defined by a stone arch flanked by a southeast round tower and northeast square tower. It was nominated for its architecture. The Sand Creek Tributary Stone Arch Bridge was constructed by local men employed by the Works Projects Administration in 1942. This double-arch limestone bridge was one of the last of several New Deal-era construction projects in Rush County. Its limestone construction is typical of structures built in this area and is representative of master stone builders and the craftsmanship of construction workers trained by the WPA. A tributary of Sand Creek flows beneath the bridge during seasonal rains, but remains mostly dry otherwise. The bridge is nominated as part of the "New Deal-Era Resources of Kansas" and "Masonry Arch Bridges of Kansas" multiple property nominations for its local significance in the areas of government, social history, and engineering. The Walnut Creek Tributary Bridge was designed by Hays Miller of Rush County and constructed in 1934. It is a reinforced concrete arch bridge supported by abutments and piers with spandrel walls that extend above the roadway to form the railing. Miller served as Rush County engineer from 1921-1932 and in 1934 became the chief engineer of the State Planning Board. In 1942, he became research engineer for the Kansas Industrial Development Commission. 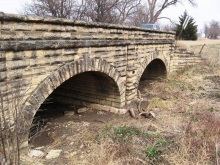 The bridge was nominated as part of the "Masonry Arch Bridges of Kansas" multiple property document for its association with engineering and transportation.